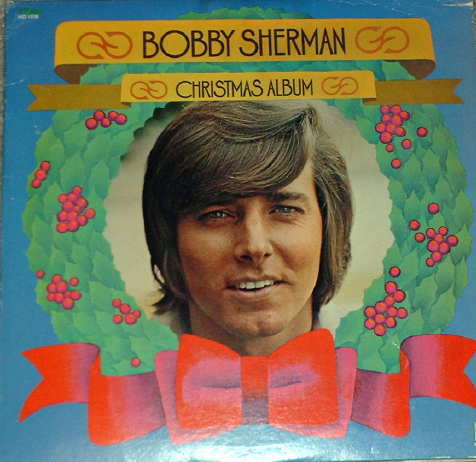 Who out there remembers Bobby Sherman? He starred in the TV shows "Here Come the Brides" and "Getting Together" and had a string of hits such as "Hey, Little Woman", "Julie, Do Ya Love Me", "Easy Come, Easy Go", "Cried Like a Baby", "The Drum", and several others. (I have all of his albums!) Well, this is the Christmas album he recorded - has some familiar tunes as well as tunes he wrote himself - a MUST for any Bobby Sherman fan! I had the pleasure of meeting Bobby Sherman several years ago when he came to Dallas for a book signing - he was promoting his autobiography. That morning, he was the guest on a local radio station and they had a contest to win an autographed CD of his. Guess who won - me! I even got to speak to him on the phone and it was broadcast - omigod! That evening I drove to the bookstore where he was going to appear - me and a bunch of other 30-something women who wanted to get a glimpse of their fave! It was really something - for a little while, we were all just a bunch of young teenagers again, all giddy and giggling. We all had stuff for him to sign - old teen magazines, record albums, books, and - the creme de la creme - a lunch box! (I was the one with the lunch box - what can I say?) Besides the CD I had won earlier that day, and the lunch box, he also signed one of my record albums, and a copy of his book. Plus, I got to have my picture taken with him! It was indeed one of the best days of my life! So, needless to say, I LOVE Bobby Sherman!!! Hope y'all had a great Thanksgiving holiday! Now that we're officially in the Christmas season, I'll be posting Christmas albums until Christmas. 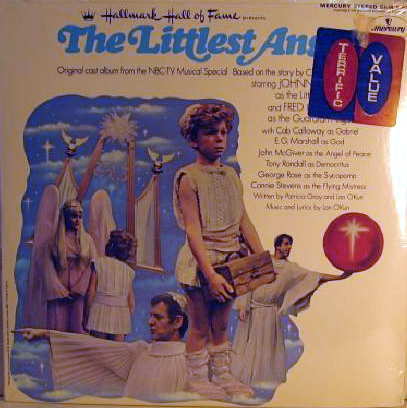 To start off, I decided to post the soundtrack to the Hallmark Hall of Fame Special, "The Littlest Angel", from 1969. This TV special starred Johnnie Whitaker (Jody on "Family Affair") and Fred Gwynne (Herman on "The Munsters"), with appearances by Cab Calloway, Tony Randall, Connie Stevens, E.G. Marshall, John McGiver, and George Rose. I remember watching this when I was a little kid and loving it! I don't know when they stopped showing it on TV, but a Google search revealed that it is available on DVD (I currently have a bid on a copy on eBay). Johnnie Whitaker was such a cutie-pie in this special, and on "Family Affair". Later on, he starred in the Sid & Marty Krofft show, "Sigmund and the Sea Monsters", and in several Disney movies. (At a later date, I'll be sure to post the album he recorded when he was on "Sigmund".) Hope y'all enjoy this! Okay, here's an album I will never listen to again. It's not that it's bad; it's just that I am not that motivated to exercise to records or videos. I admit that the only reason I bought this (another dollar gem from the HPB clearance bin) was for the celebrity factor. I mean, who knew that Mary Lou Retton, 1984 Olympic champion, would record an album??? I was one of those people who was completely enthralled with this little dynamo back during those Olympics. I even braved the crazy crowds to go see her and other Olympic athletes (plus Ricky Schroder) make a special appearance at the grand re-opening of Irving Mall later that year. The things we do to catch a glimpse of celebrities - crazy. Anyway, the reason I decided to post this album today is that I had a lot of nervous energy pent up and needed a way to release it. What better way than through exercise? I didn't feel like walking over to the gym, so I thought I'd give this album a try. Needless to say, I still have a lot of nervous energy pent up inside me. (I still don't feel like walking over to the gym, so I think I'll just do a bunch of jumping jacks and push-ups until I exhaust myself.) Besides, the target audience for this album is kids. So, if there are any elementary school teachers out there, this may be an album you may be interested in. If anyone out there does download this, I would appreciate a comment telling me why you downloaded it! I have been in a really good mood all day today - the kind where I just want to get up and dance! So, in keeping with that mood, I decided to post this album, which is great to get up and dance with someone, or just by yourself! In fact, I was dancing around the room by myself as I recorded this album (I do love ballroom dancing!). 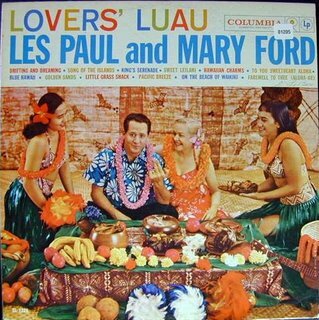 This album is quite delightful and was released when bossa nova was the "new" dance craze. 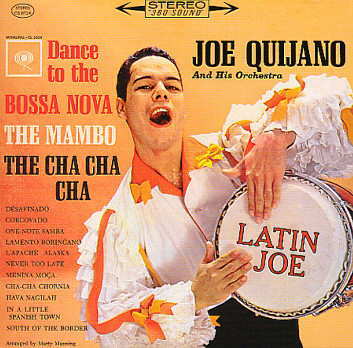 There's also cha-cha-cha and mambo on this album, but Joe seems to be emphasizing the bossa nova. I have been enamored by this style of music for many years (could very well be my own latin blood!) and can listen (and dance) to it for hours on end! According to the liner notes, Joe Quijano was only twenty-seven years old when he recorded this album. He was an accomplished pianist at the tender age of six! At a very young age, he joined a mambo group as an instrumentalist and vocalist and later formed his own pachanga band. On this album, "in several numbers you hear him joyfully exhort his orchestra". 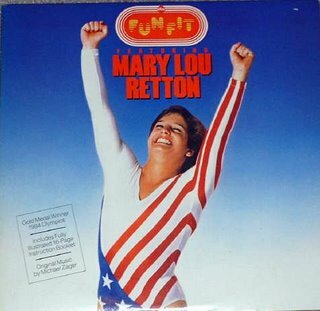 (BTW, the album cover says it's stereo, but the actual record was mono - someone must have switched the records, because that's how I bought it at the HPB clearance bin.) Hope you all enjoy this record as much as I have! BTW, I received an email that Megaupload is hard to use for those of you that don't live in the U.S. I've seen from my site meter stats that I get quite a few folks from overseas that download my shares. Are any of you having problems downloading my shares from Megaupload? If anyone has other suggestions, please let me know. I chose Megaupload because I found it pretty easy to use, but I'm certainly open to suggestions. Thanks!